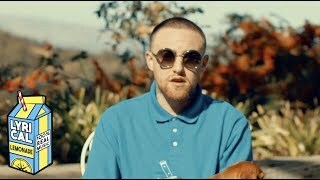 Coming on the scene with a throwback style that betrayed his years, Pittsburgh-based rapper Mac Miller had just turned 18 when he spent 2010 making his name through mixtapes and video-sharing websites. Born Malcolm McCormick, Miller first used the alias "Easy Mac," a name referenced on his debut mixtape, 2007's But My Mackin' Ain't Easy. His K.I.D.S. mixtape became his breakthrough when it was released in August of 2010, earning plenty of attention from hip-hop blogs and landing Miller a recording contract with Rostrum Records. Rostrum released his debut EP, On and on and Beyond, and his debut album, Blue Slide Park, in 2011. The album debuted at number one on the Billboard 200. The more experimental effort Watching Movies with the Sound Off followed in 2013, with left-field hip-hop names like Action Bronson, Earl Sweatshirt, and Flying Lotus lending a hand. A year later he signed with Warner Bros. and launched his own imprint, REMember Music, under the major label. GO:OD AM followed in 2015 with Lil B, Chief Keef, and Miguel on the album's guest list. 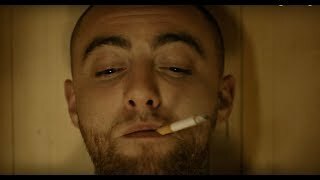 Just a year after GO:OD AM ascended to the Top Five of the Billboard 200 and Rap charts, Miller returned with his fourth LP, The Divine Feminine. The album featured contributions from guests like Kendrick Lamar, Cee Lo Green, Robert Glasper, and Anderson.Paak, who lent his soulful rasp to first single "Dang!"